Hey everyone, so today I'm attempting my first review and I asked on Twitter if you'd like me to do this and all responses were yes so here I am! 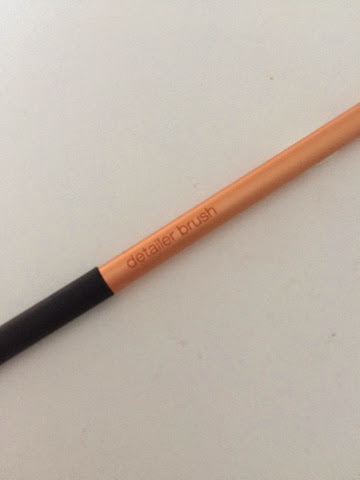 I've seen so many people using these brushes and all have recommended them so I was very excited to try them! I've only had these for a couple of weeks and Im already loving them! They cost £20.99 however they're on offer on Amazin at the moment (not sure if it's still going on!) but I think £20.99 is a reasonable price due to the fact I've heard they last for ages! 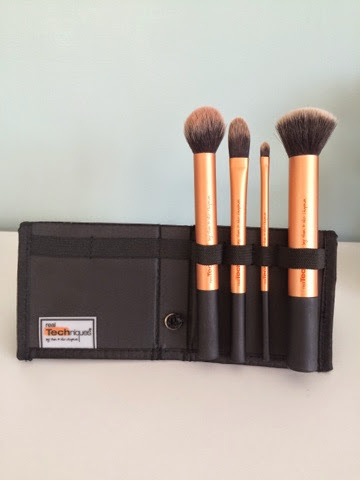 The brushes are made with taklon bristles which are ultra-plush, with soft fibers, and smoother than most other brushes. They are 100% cruelty free which is a huge bonus. 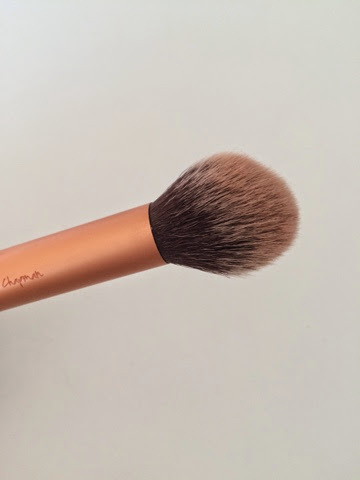 The collection includes a buffing brush, contour brush, detailed brush and a pointed foundation brush. 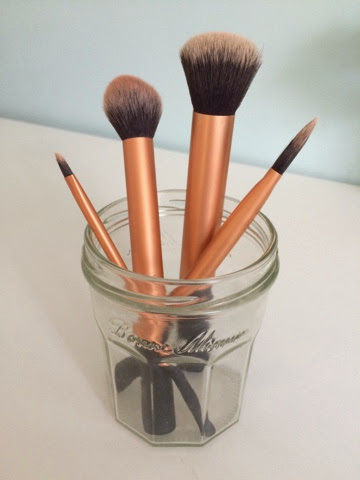 I love the fact they are rose gold as they look cute on my dressing table! 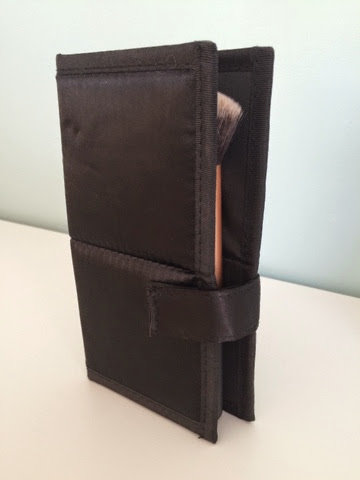 It also comes with a black case that allows you to travel with them easily and have them standing up on your dressing table whilst doing your makeup! 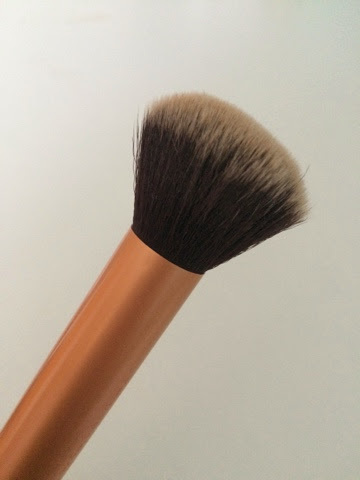 I'm gonna start off with my favourite from the four which is the buffing brush; I use this for my foundation and it leaves a smooth finish which was hard for me to achieve before! 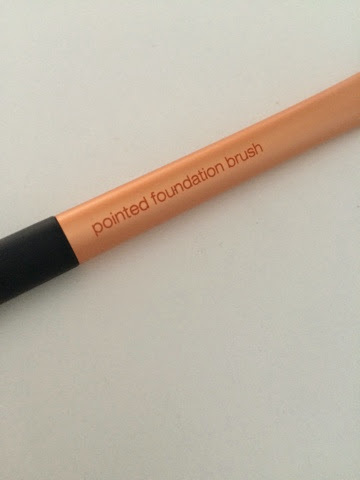 This allows me to get under my eyes and around my nose leaving great coverage! I use it in a dabbing motion as like I said It leaves it streaky. Next I use the detailer brush for highlighter, on my brow bone, down the bridge of my nose and cuspids bow. I find this perfect for it! 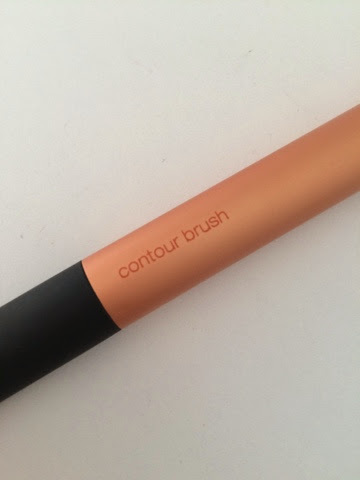 Finally I use the contour brush for well what it says on the tin contouring! 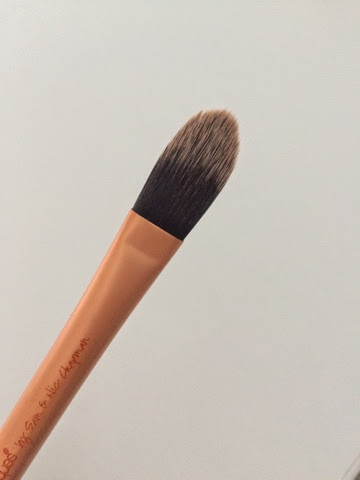 I use this for applying my bronzer! 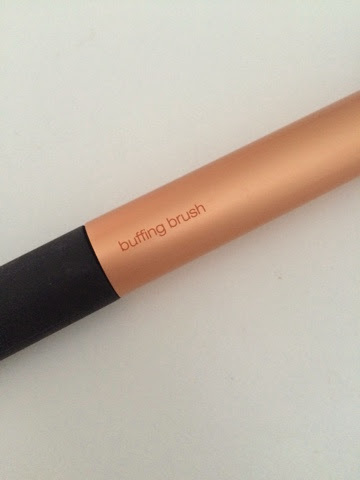 Out of all my past contouring/bronzing brushes this is my far my favourite! So overall I highly recommend buying these! They are so soft, a reasonable price, they don't shed and leave the face having a smooth finish. I also love the case it comes with which allows me to put them striaght in my school bag! I'm looking forward to growing my collection. 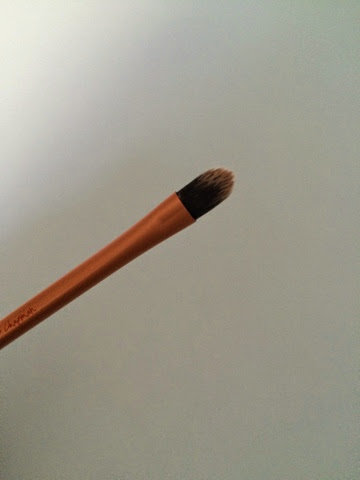 Comment below your favourite real techniques brush as I want to buy some more! Only just started reading your blog but I'm obsessed!